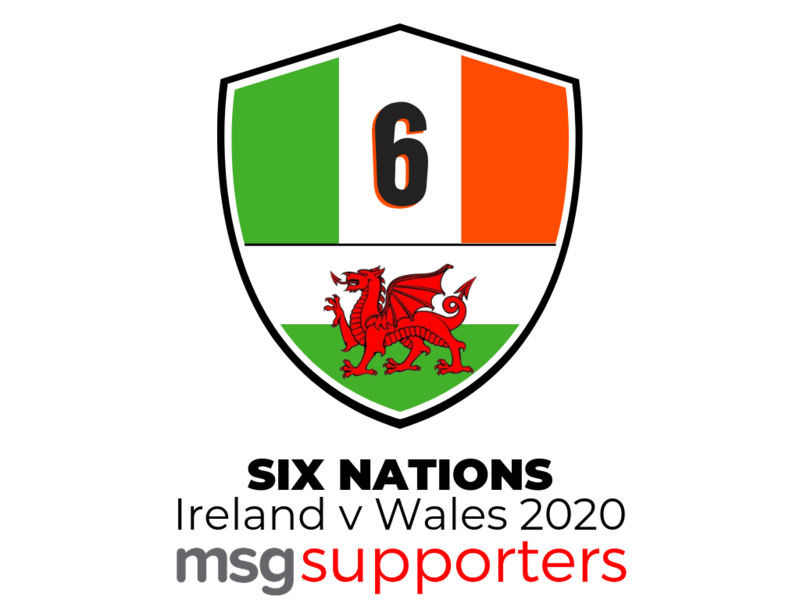 We’re heading to Ireland to watch the 2020 Six Nations encounter with Wales…in MSG style! Tired of overpriced Dublin hotels and the same old agenda? We’ve solved that conundrum with an exciting four day tour to BELFAST, incorporating a full day in Dublin for this iconic encounter. Explore Northern Ireland’s renowned scenery, including Giant’s Causeway, Dunluce Castle and the Bushmills Whiskey Distillery whilst sampling the bustling Belfast nightlife and cafe culture. Leaving nothing out of a traditional Ireland v Wales Six Nations weekend, we’ll commute to Dublin via train on the morning of game day to soak up the true match-day experience. Returning via train that night, plenty of time and room is allowed for the customary sing song(s) as we celebrate yet another victory over our Celtic cousins. 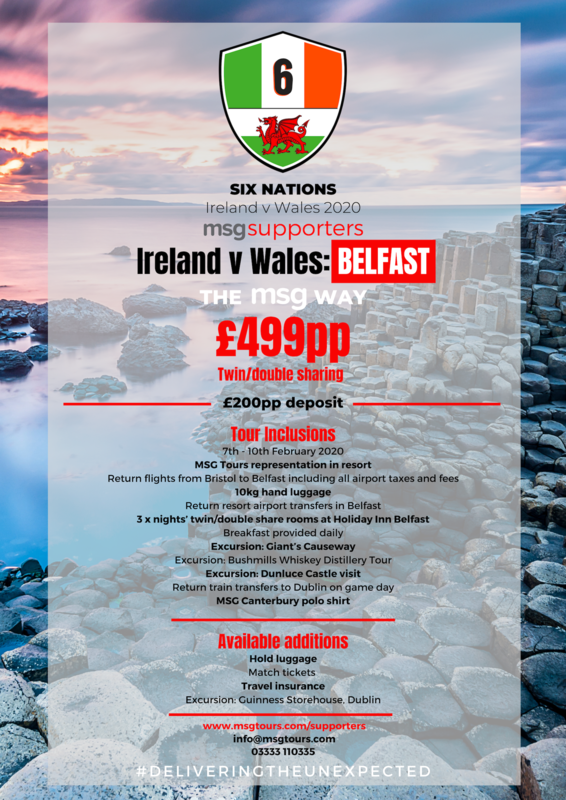 Stopping across a number of top hotels, such as the Holiday Inn and Jurys Inn Belfast, this trip is limited to 30 supporters as we keep our tours bespoke and personal to our loyal MSG Supporters.  Join us on this unique and affordable experience (departing Bristol Airport). Bookings open 11th April 2019 with pre-registration available via www.msgtours.com/registration. Ireland v Wales takes place between the 7th and 10th of February 2020. Our packages are based around the full event with opportunities to sightsee and experience Belfast.